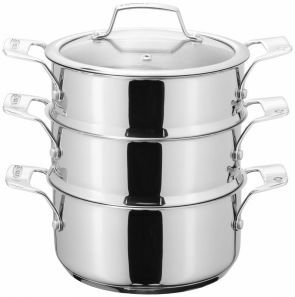 Stellar Premium 16CM Steamer comes in a 4 system interchangeable configuration. It comes with 2 steaming tiers along with a base pan and a vented glass lid. The base pan is an efficient thermic base giving even heat distribution and is suitable for all hob types including induction. 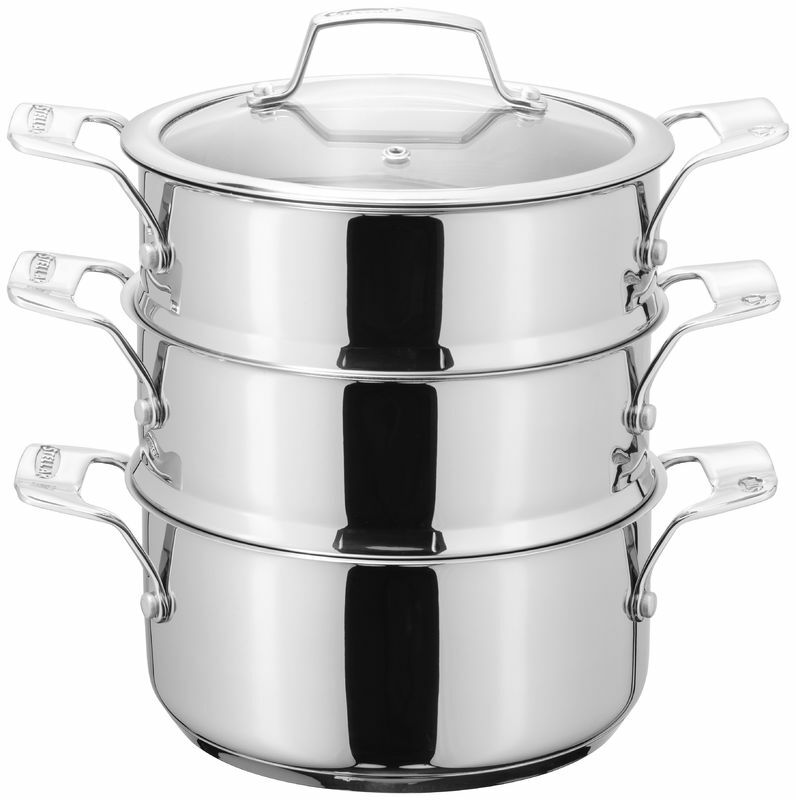 The handles are made of premium stainless steel branded cast handles. Dishwasher and oven safe up to 24 degrees.